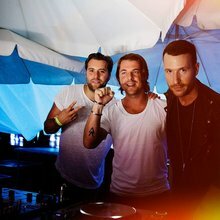 Swedish House Mafia is a house music supergroup comprised of DJ/producers Axwell, Steve Angello, and Sebastian Ingrosso, each of whom is an accomplished DJ/producer and label owner in his own right. 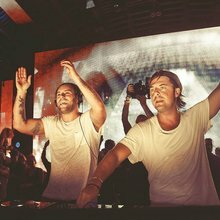 The members of the Swedish group initially teamed up in the mid-2000s, when they toured together as DJs and collaborated from time to time on one another's productions. 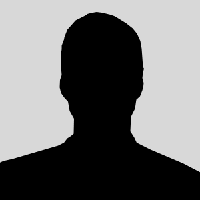 Eric Prydz was also a member of the group for a while. 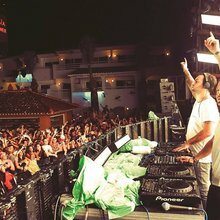 Axwell, Angello, and Ingrosso's breakout performance as Swedish House Mafia came on August 12, 2008, when they played the Main Room at Cream Amnesia in Ibiza, Spain, as part of Radio 1's Essential Mix Ibiza. A couple years later the trio signed a major-label recording contract with EMI and made their commercial production debut with the summer 2010 anthem "One," also known as "One (Your Name)," the latter version featuring Pharrell Williams of the Neptunes on vocals. The song was a Top Ten hit in the United Kingdom, Sweden, the Netherlands, and Belgium, and landed on the group's debut album, 2010's Until One. Two years later the group members announced they were breaking up and returning to their solo careers, although only after a farewell tour and the release of their second album, 2012's Until Now.